This week, I signed on to Mayors’ Compact to Combat Hate, Extremism and Bigotry, sponsored by the U.S. Conference of Mayors and the Anti-Defamation League. It is painful to think that such compacts are necessary, but what else can one conclude from recent events? In his surreal news conference on Tuesday, President Trump said that there were “good people” among those protesting the removal of Confederate monuments in Charlottesville. 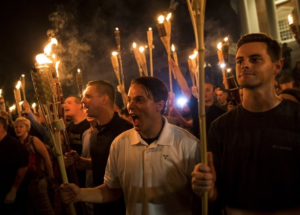 Mr. President, “good people” do not participate in torch-lit marches with Nazis and Klansmen, and it requires a deeply distorted view of human nature and of American history to believe otherwise. An ominous cloud is fast spreading across our country, darkening by the day, casting ugly shadows that extend beyond the typical landscape of political and civic debate. 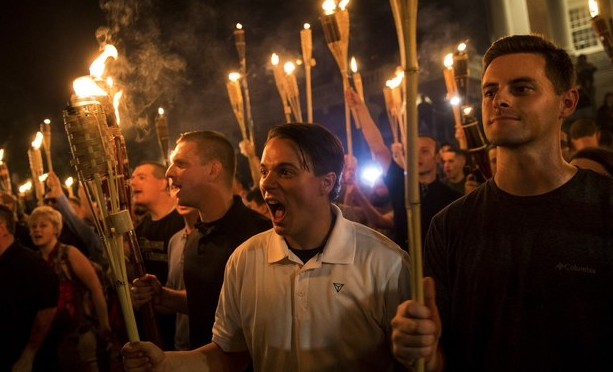 Yes, self-identified Nazis and White Supremacists still constitute only a tiny fraction of the population, but to believe the polls, at least a third of Americans greet the President’s actions and statements in this matter with approval. Some additional percentage are indifferent, or willing to rationalize in service of other purposes, or believe mistakenly that this is all normal. It is not. Those who think that the worst couldn’t happen here, couldn’t happen to us, should remember what Germany was before the madness came: a free, democratic nation with a thriving, creative culture. One of history’s many sobering lessons is that civilization confers no immunity to hatred. Societies that do not cherish, defend, and uphold the institutions of liberal democracy are at risk of losing them. Donald Trump long ago abdicated any claim to moral leadership. This episode is only the latest low. There are more lows to come. If the President will not affirm our nation’s most fundamental and hard-won values, then it is even more important for leaders at others levels of government and in all fields to speak with clarity and without equivocation. I will do so at every opportunity.